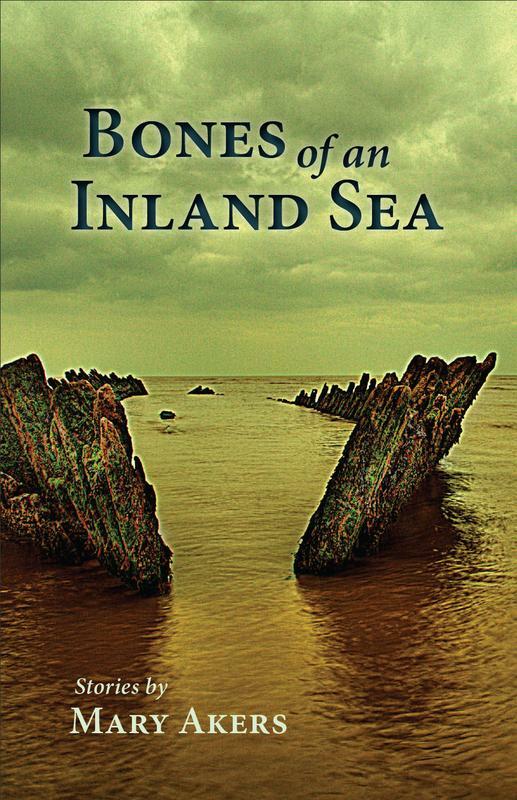 Clifford Garstang: Your book Bones of an Inland Sea is a collection of individual stories. But as readers move through the stories, it becomes clear that they are all linked together in fascinating ways. The more stories one reads, the more the characters reappear and relationships evolve. In the end, it feels a bit like reading a novel. Could you talk about that? Mary Akers: If I had to assign this book a descriptive term other than short story collection, I would call it a “composite novel” or a “polyphonic novel”—a novel told in many voices. All the stories are interrelated, and yet each story stands alone. Characters repeat throughout the stories and several characters get more than one chance to tell their stories. I liked exploring how our stories change over time. What we tell ourselves, and others, about our lives changes as we grow and evolve, and even how we tell the story changes. Do we focus on reliving the bad? Or do we gain acceptance over time and tell a very different story twenty years after the actual events occurred? The stories in this collection explore the many ways that stories are told: the long view, the personal letter, a retrospective, a play-by-play, from multiple perspectives, etc. CG: I recognized some familiar scenarios in these stories. There’s a devastating tsunami in Thailand, a woman in a persistent vegetative state with a family fighting over her right to live or die, a cult reminiscent of Jim Jones’ cult in Jonestown Guyana. Do you take inspiration from the news? MA: Sure, I mean I take inspiration from just about anything, but especially from things that haunt me, things that I don’t understand and can’t let go. The Terri Schiavo case is a good example of that. And the awful images from the Boxing Day tsunami were so painful, especially for someone like me who has loved the ocean all her life. I was about twelve when the huge mass suicide in Jonestown Guyana occurred. I will never forget the news footage of all those piles of bodies laid out on the ground, arms around one another. How does one man convince 800 people to kill their children and then take their own lives? CG: So would you say you are an issue-driven writer? Are you trying to get your readers to think a certain way about the world? MA: It’s my job (as I see it) not to make my readers think a certain way, but to make them think. I don’t have an agenda when I write. Or if I do, it’s only to understand, to be open, and try to figure out what is right and what is moral and what it means to be human in this complicated modern world of ours. If that comes across to readers and in turn gives them some good food for their own thoughts, then I’m very happy with that outcome. I conducted an interview recently with Robert Boswell, a really wonderful writer, and he said he’s been formulating this idea of low-custody authors versus high-custody authors. You know how some authors take you by the hand and walk you through a sort of guided tour, telling you all along the way what this or that means and what you should feel? Well, that’s a high-custody author, like Tolstoy, for instance, but that’s not me. I would call myself a low-custody author, more like Chekhov. I want my reader to do a little work, too, and I think most readers like to do that work. It makes us feel smart when we recognize what is happening or when we are left to figure something out on our own. Basically, I present the scenarios and the characters without any authorial judgment (or I try to), and I want to give the reader the opportunity to decide what he or she thinks. After all, when I make a book, it’s only half done. A book is just symbols on a page. It takes a reader to finish the book. Readers spend eight hours or more with my words, but they make the pictures in their minds, they bring their own experience to the reading, and they make the book theirs in a really unique way. All of the arts involve an intimate experience between maker and consumer, but there’s something especially intimate about reading. I think some of that has to do with the fact that most art involves the senses—sight, sound, smell, taste, touch. But writing actually involves THE MEMORY of the senses and the writer merely invokes them. The reader supplies them. For instance if a character thinks, “it smells like my grandmother’s kitchen,” well that means something very different to every reader. And even if I supply details—“it smelled like basil and ricotta and Aqua Net and love…” I’m still asking you to go back and do that work of memory and make it your own internal sensation from my list. Fascinating, isn’t it? CG: There seem to be a lot of characters in this collection with military backgrounds. And also a lot of references to military actions and wars: You have a Viet Nam vet with PTSD, a Navy man who witnessed the bombings on Bikini Atoll in the 1950s, even a small local war in the Florida Keys over sponging rights in the early 1900s. Do you have a military background yourself? MA: I was a military spouse for many years. My kids were all born in military hospitals. My father served during the Berlin Crisis. My uncle flew the hump in Burma. My grandfather landed on Iwo Jima. My brother was a navigator for Navy P-3 planes. My sister registered for the draft back in 1974 when she turned 18. All my life I have been surrounded by people—mostly men—who have served our country. The toll such service takes and also the benefits it provides to an individual are fascinating to me. I can’t think of any single experience that is more of a mixed bag of injuries and rewards. CG: Another thing I noticed was that you have almost as many stories told from a male point of view as from a female point of view. Can you talk a little bit about why you chose to write from a male perspective? MA: Well, men make up half the world, don’t they? I don’t know, it seemed like the stories needed to be told in the way they needed to be told. It was my job to rise to the occasion. If it’s difficult, that’s my struggle, but it’s one I embrace. To be a fiction writer is to spend a lot of time imagining the lives and thoughts of others—often people very different from oneself. I think it’s a challenge. And I find men (as a group) very interesting. I’m really interested in what they think and feel and how they do or don’t express that. I actually think it’s very hard to be a man these days. CG: You have an event coming up—a book launch to celebrate the publication of Bones of an Inland Sea. It’s at The Roycroft, right? Could you tell us a little bit about that? Basically, the launch party is a celebration designed to send this baby book out into the world. Copies will be available for sale—and I’ll be signing them, and I’ll also give a short reading to give attendees a feel for the book. It’s always fun to hear work read in the author’s voice. CG: Check out Mary’s website and blog, and her author page at Press 53. 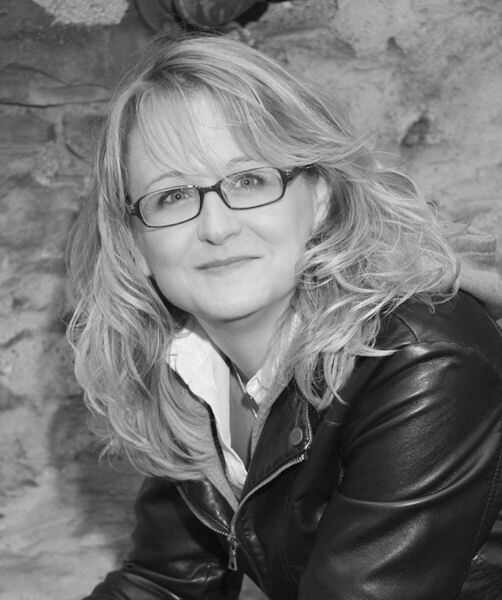 Mary Akers is the author of the award-winning short story collection Women Up On Blocks (Press 53, 2009) and Bones of an Inland Sea (2013). She is Editor-in-chief of the online journal r.kv.r.y. and has been a VCCA Fellow and a Bread Loaf waiter. She co-founded the Institute for Tropical Marine Ecology, a study abroad marine ecology program originally located in Roseau, Dominica. Akers frequently writes fiction that focuses on the intersections between art and science, including such topics as diverse and timely as the environmental movement and the struggle for human and animal rights. Although raised in the Blue Ridge Mountains of Virginia, which she will always call home, she currently lives in western New York.